Hi friends! 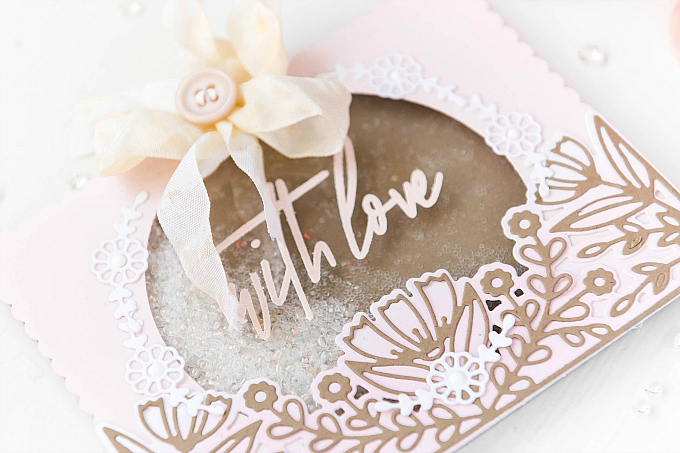 So excited to be sharing two new cards over on the Pinkfresh Blog today! 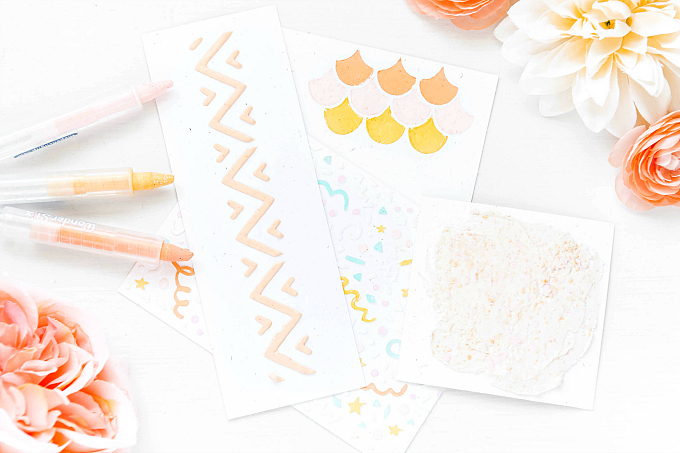 They are delicate, girly, feminine and so, so fun to make. I love them to bits! 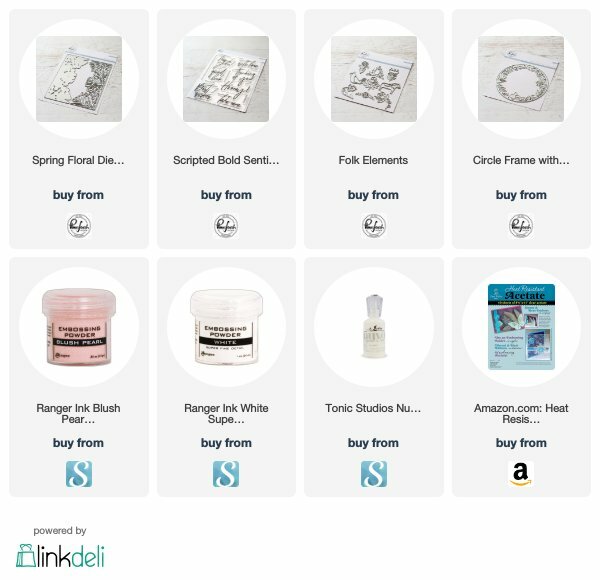 I also love that many of the newly-released products have such fabulous Spring vibes! I could definitely use more sunny skies and floral accents right now, so the timing couldn't be more perfect. Both of the cards were made following the same steps, so I will just bundle them here for you. I did change up the colors and a few little accents here and there, but the general idea is the same! For both of my cards, I first decorated the top layer, before turning them into shaker cards. I find it so much easier to just assemble all these elements first and then simply add foam adhesive to shaker-ize everything! 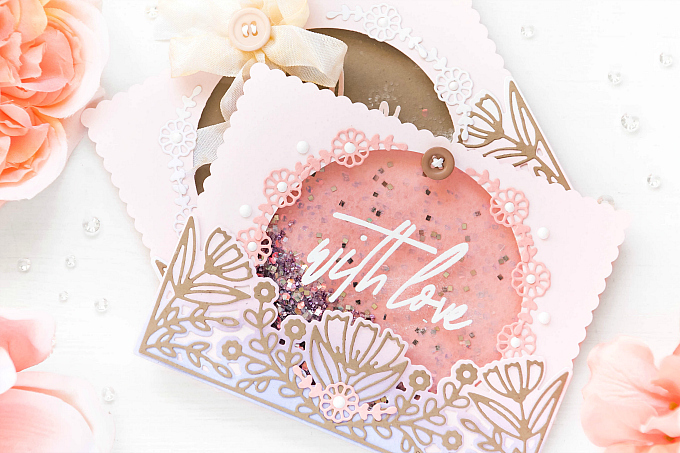 For my two bases, I used soft blush cardstock pieces - these came with a scalloped edge, but it would be just as easy to use a simple cardstock base in your favorite color. 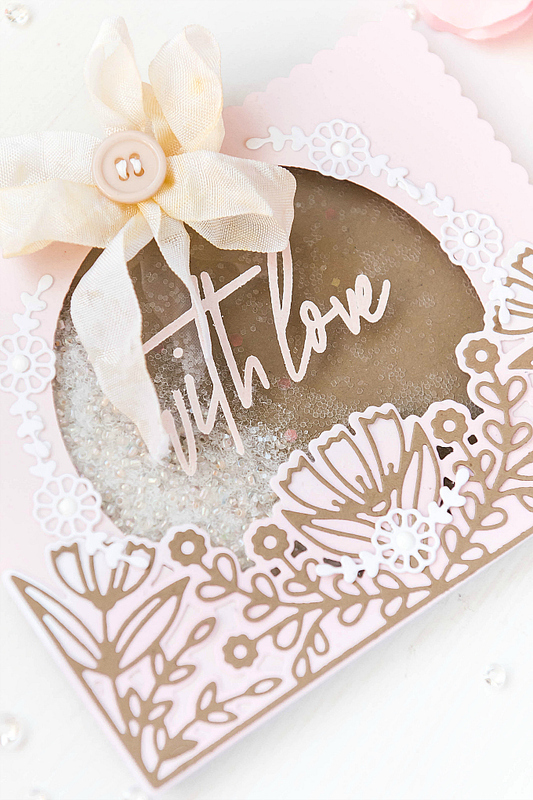 I then used the new Circle Frame with Botanicals die, to cut out a circle window out of both bases. I heat-embossed some clear cardstock with the Scripted Bold Sentiments 1 stamp, and then adhered it to the circular opening. I absolutely adore the size and style of these fonts! 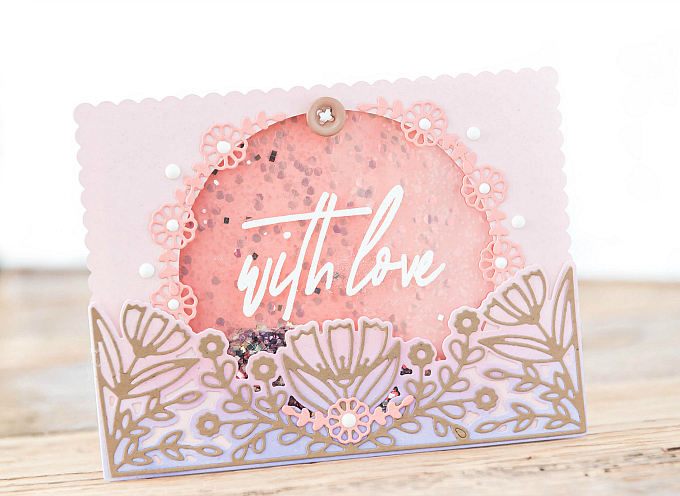 I used the very sweet and dainty new Folk Elements die to cut out little floral accents, which I added around each little circle window, along with some Nuvo drops. 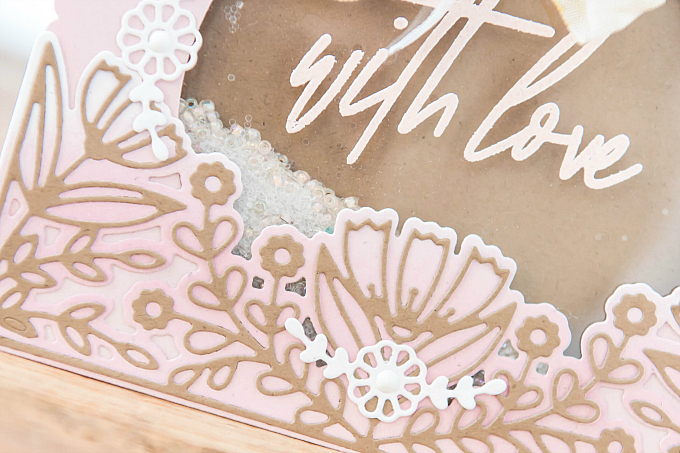 For my favorite part of the card, I used the beautiful, new Spring Floral die, to cut both the base and the dainty top layer that comes as part of this set. For the base design, I used a soft pink and soft purple ink to ink up an ombre look, and for the detailed portion, I used kraft cardstock. Before completely gluing down all the foam tape, I sprinkled in a mix of glitter and seed beads into each shaker. 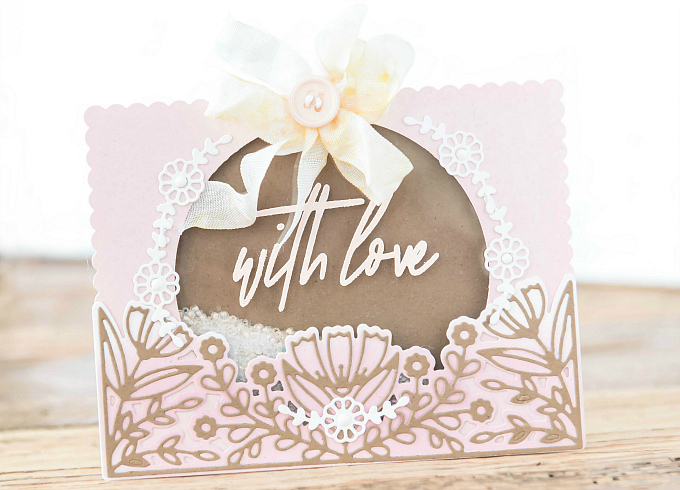 Pink combo for the first card, and a soft white and ivory combo for the second. 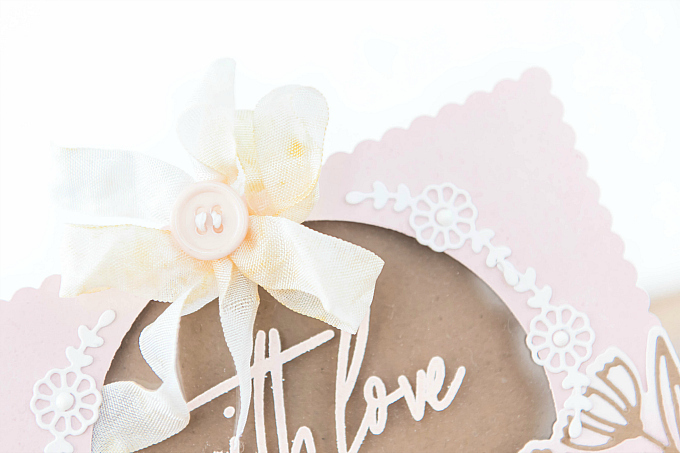 I also added a soft and frilly bow to the top of my second card! I'm head over heels with this pretty design. 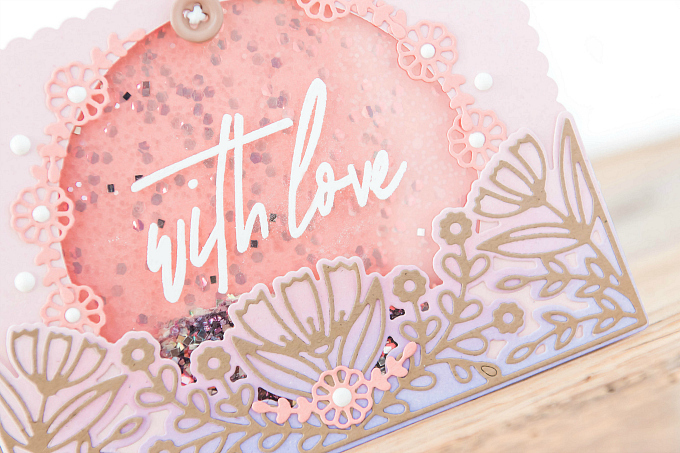 As I write this, I'm thinking of the card currently sitting on my desk which I'll be sharing soon, in which I've used this design but cut out the various bits. It really shows the versatility of this pretty die. Isn't it so sweet and delicate?! but it will go a long way in helping to support this blog and exciting new content. Oh...they are delicate, girly and feminine!! Love them both Ivana, very pretty! GORGEOUS! Wowzer these are beautiful Ivana. (I'm late in blog-visiting: ) I'm so glad I was able to stop in and see up-close all the fem lovely details for this pair of shaker cards!